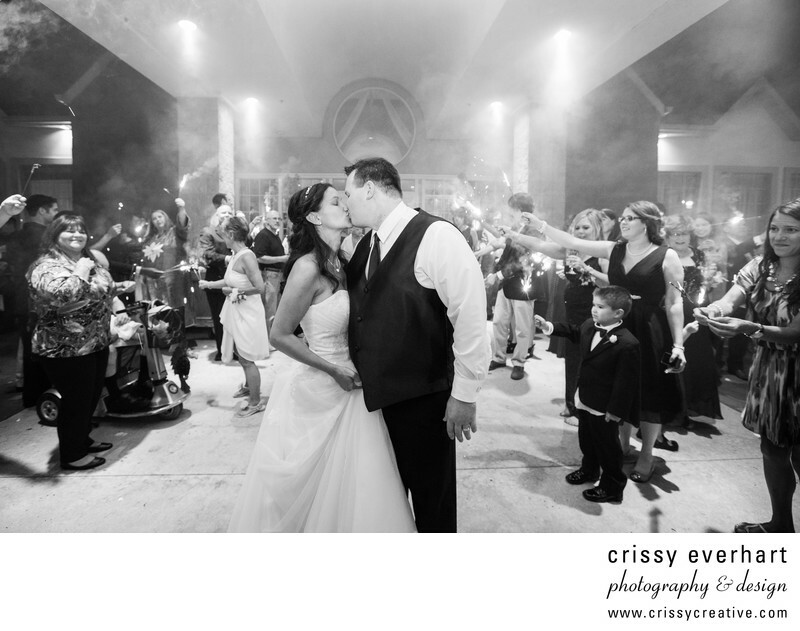 A black and white sparkler send off photo to close out the wedding album! This couple walked out of the doors at the hotel to all their guests waving sparklers. They grab a kiss right in front of the camera, the bride holding up her dress so she doesn't step on it. Their son is in the background, mesmerized by the sparkler and slightly tired from dancing and posing for photos all day long! Location: 780 Baltimore Pike, Glen Mills, PA 19342.